...bubblegum (I don't like long thread titles)! Sure, let me find someone to blow first. 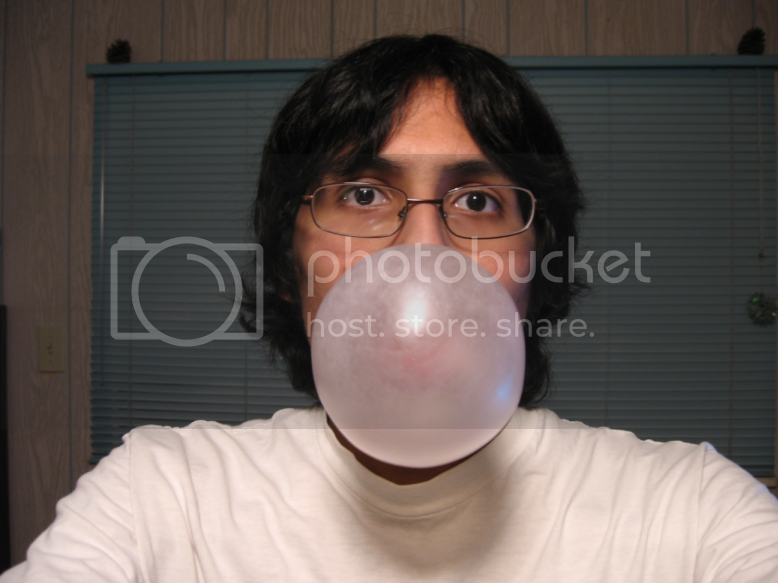 To see who can blow the biggest bubble? Perhaps someone, sickened with boredom, will come by and think "Hey, maybe I'll try this." I don't know...the reasons are endless. Man with bubblegum fetish attempts to con the internets into satisfying his creepy desires.